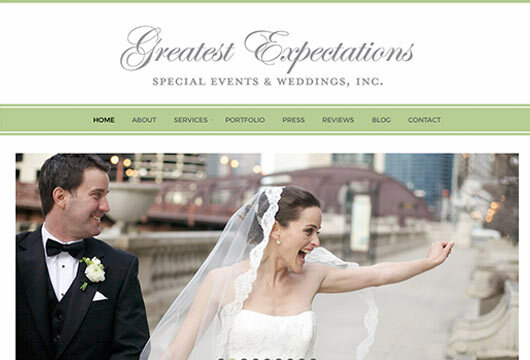 Greatest Expectations is a Chicago Wedding Planner with a diverse clientele who values not just the event experience, but the planning experience as well. GE initially hired PrettySmart to make some updates to their WordPress website. Soon after we completed that project they had us do a complete site redesign.